Hi! Welcome to Life-in-Ecuador.com. My name is Jessamyn and I currently live in Tena, Ecuador. Where am I from? How did I end up in Ecuador? I grew up in Colorado, USA with parents who love to travel and especially love the outdoors. After a road trip down Baja California, Mexico when I was 12, my parents started to think about living in a foreign country. Friends of ours had just announced that they were moving to Ecuador. My parents loved the idea, but thought it was impossible for a family of six. After talking to these friends further they decided this was something we could do. At the time my brothers and I were excited, but three years passed before it became a reality. By then I was 15 and very attached to my friends. So I reluctantly watched as all of our belongings were sold in one garage sale after another, until everything was gone. Even my childhood home was sold. 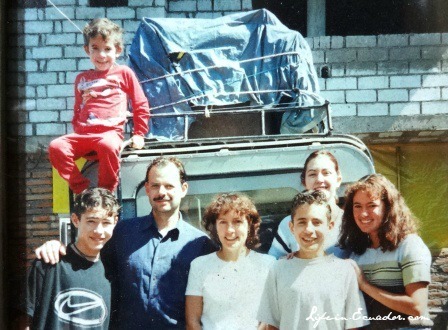 We arrived in Ecuador in February of 1997. It wasn't long before I began to fall in love with Ecuador. The quiet lifestyle. The beautiful people. And the amazing scenery! We lived for a year and a half in San Miguel de Bolivar. We made many wonderful friends in this quiet, mountain town between Ambato and Guayaquil. We learned to walk uphill 100% of the time and on clear days we enjoyed amazing views of Mt. Chimborazo. The only problem -at the time- was a lack of consistent running water. So we moved to Tena in July of 1998 and it has been my home in Ecuador ever since. When my parents decided to go back to the States in 2000, I wanted to stay! My family helped me set up house and I stayed for several years, supporting myself on part-time, minimum wage jobs when I would go home to visit my family. In 2002, I married a friend I met here in Ecuador. In 2004, we decided to travel to the US for the birth of our son. Our plan was to come back soon after he was born, but again plans changed. We ended up living almost seven years in Wisconsin, USA. But we always had the desire to be back in Ecuador. So we started to save money to be able to build a house in Ecuador. During this time my dad was building a website with SBI. Since we weren't sure how we were going to support ourselves in Ecuador, I looked into the idea of a web based business. SBI tells you to write about what you love. And I love Ecuador. 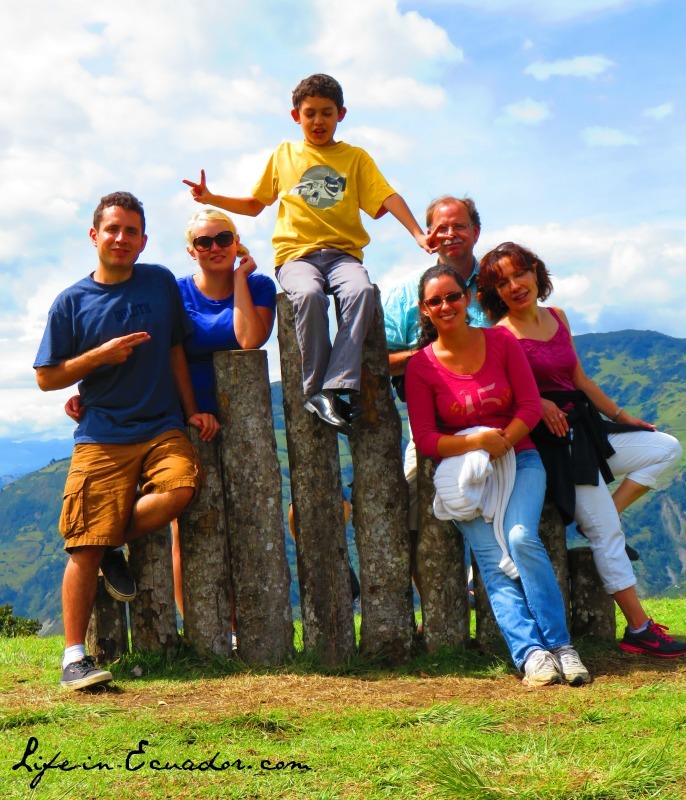 Thus Life-in-Ecuador.com was born. It started from nothing and is growing steadily over the years. And the research and traveling I've done has only caused me to love Ecuador even more! Read more about my SBI! (Solo Build It!) journey here. We've been back in Ecuador for over seven years now. Bringing my total time in Ecuador to over 14 years. My husband works locally in Tena. Meanwhile, I spend my time volunteering as part of an international Bible education work and raising my son. Whenever possible, we travel to new areas in Ecuador to continue learning more about this amazing place. I sincerely hope you enjoy reading my experiences and that you find useful information about this beautiful country. I've recently finished writing my first book about traveling in Ecuador -- how to plan, what to expect, etc. It's great for newbies to the country; so if you're planning your first trip check it out! Please feel free to contact me if you have questions about Ecuador that I have not as yet answered. 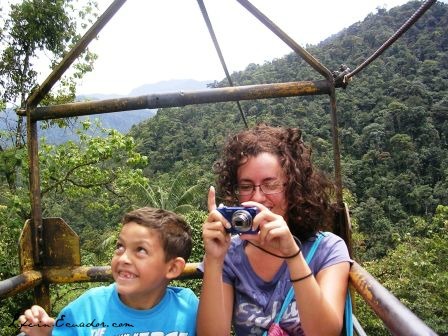 I also enjoy hearing what you think of Ecuador and seeing your photos. So keep in touch!